Wicked Elegance : Browse by my shop and support me! Only authentic items! This product is essentially similar to the Etude Eyes and Lips Makeup Remover. How? Well it comes in two parts the oil and the water. The only difference is that this oil substance is pink and this product is a little stronger and more effective towards removing strong waterproof or thick coatings of mascara. 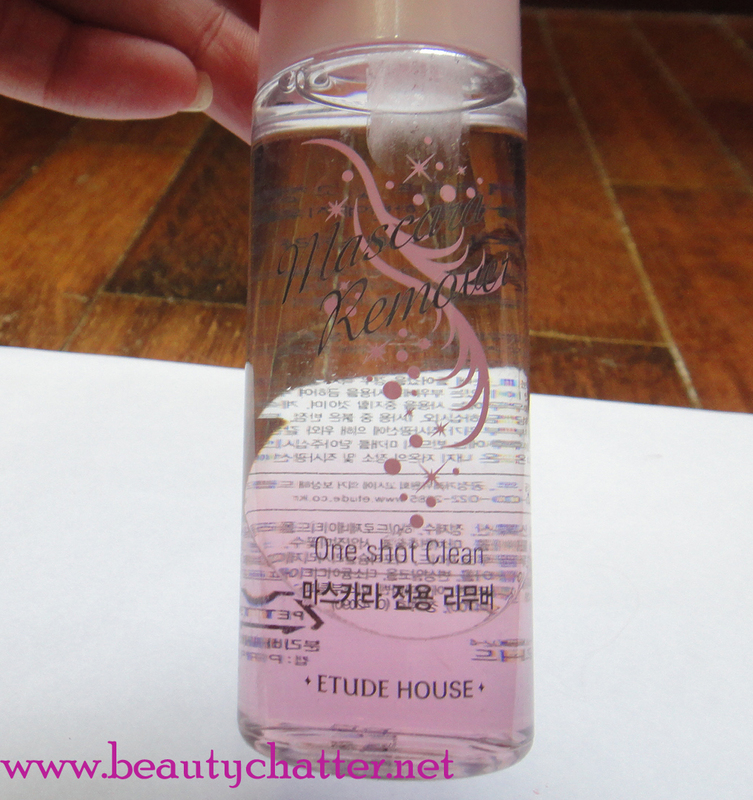 Like all other makeup removers of this kind you must shake the bottle well before use. It also claims to be a one shot clean solution. The liquids separate when it's not used. Bottle well shaken. As you can see in the picture above its been well mixed. Pros: It is much more effective than the Eyes and Lips Makeup Remover from Etude. It's also slightly cheaper than the other one though not be much. It's one of the more effective makeup remover with a low low price. It works well removing thick waterproof eyeliners and multiple coats of mascara on your eyes. This product also removes makeup with minimal movement. a.k.a. you do not need to rub your eye area to remove the makeup; a simple blotting technique will work. (If you've read my blog you'd know that I'm against rubbing the skin near or surrounding the eye area as it causes premature wrinkles). Also there is minimal to no irritation on the eye. My eyes turns a bit red (hence the slight irritation) using this but there is no burning sensation, tearing, swolen skin or lasting redness on the skin. The redness receeds pretty fast when I wash my face. Packaging: I love that the bottle looks simple and has clean lines. Its not overly made up which is in accordance with the price. The bottle also closes up tightly/securely. I've had no spills when it comes to travelling on ground and normal travelling. The liquid comes out through a dropper once you remove the cap. It kind of streams out and doesn't require excessive shaking or squeezing for the product to come out of the bottle. Cons: It is not a one shot clean in any sense. I still needed a 2nd swab of cotton pad or cotton bud to remove traces of makeup left on the water line and the areas close to the lash line even if you are not wearing waterproof make up. Packaging: I've had an issue when you put this product in check-in luggage, it does leak out a bit. Not overly but you do notice it so its best that you put in a plastic sleeve before placing it in with the rest of your luggage. PS: I heard from Etude House staff that they are coming out with a new formulation for this so if I get a bottle I'll let you know. 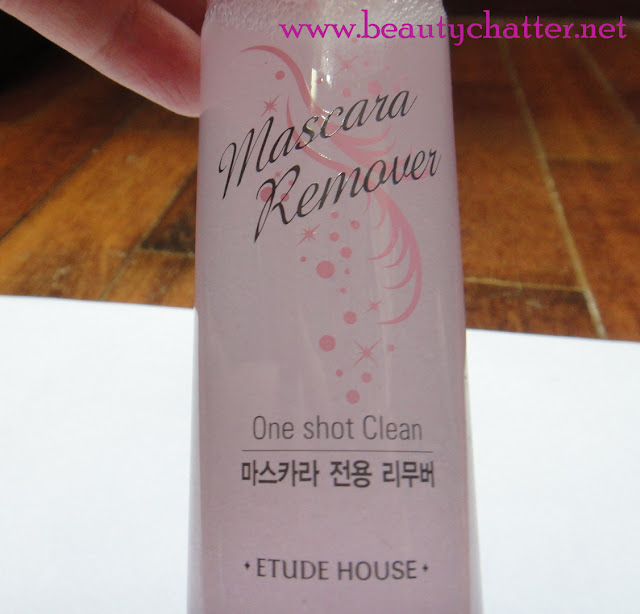 Keep an eye out, I will post up a tutorial on how to remove eye and lip makeup using the Eyes and Lips Makeup Remover from Etude as well as a comparative review.